← HAIR WE ARE IN 1987! Nana's bangles on my wrist. My grandmother, who died last year at ninety-six, was a major figure in my life and an important role model, especially in matters of style. 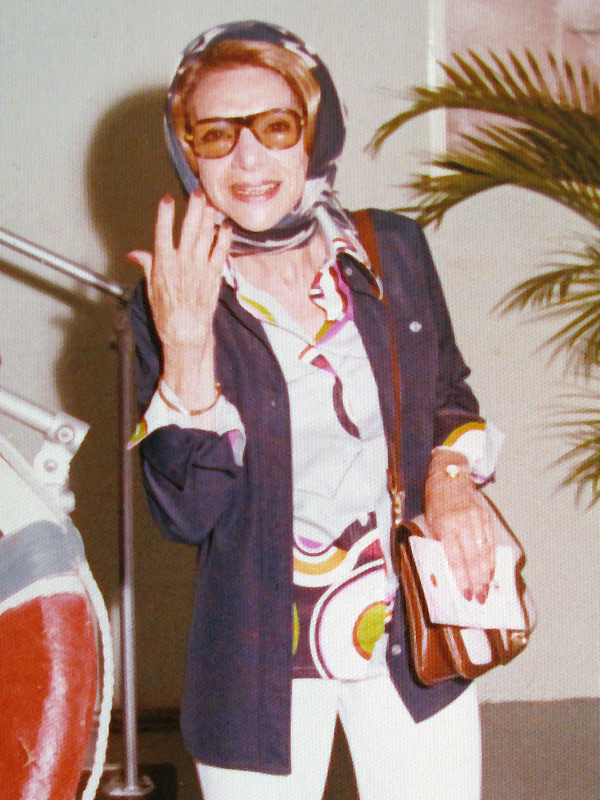 In 1972, she decided to collect solid gold bangle bracelets. It made gift-giving effortless for my grandfather, and by 1978, she had acquired eight bangle bracelets…nine, if you count the Tiffany & Co. gold bangle watch…then abruptly stopped (she always prided herself on being tasteful, and she knew she’d never feel comfortable wearing more than that). As kids, my cousin Steffi and I were fascinated by her armload of bangles. We would pore over them, evaluating which were our favorites. 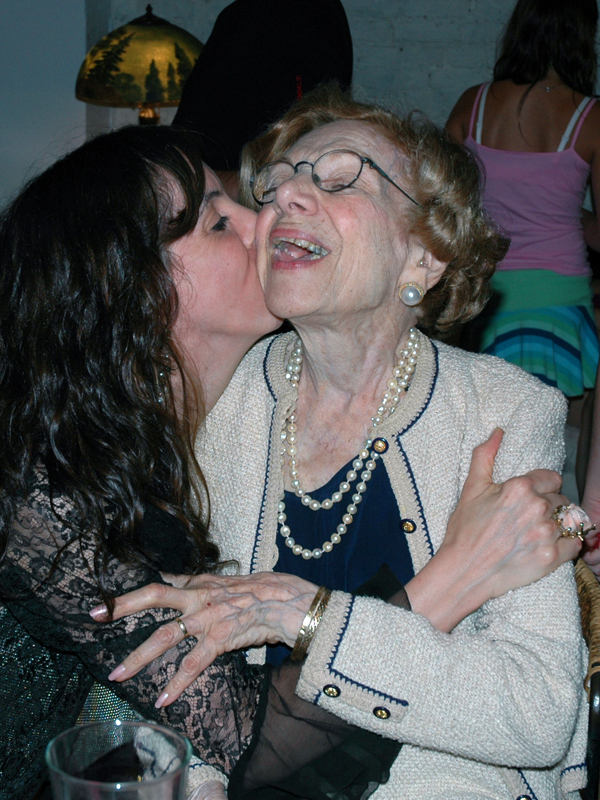 Nana had a lot of fine jewelry, but nothing affected us like the jangling of her bangle bracelets as she sipped her gin and tonic, served kourambiedes (a greek cookie) or hugged us. Is there anything more elegant than the sound of clinking gold? 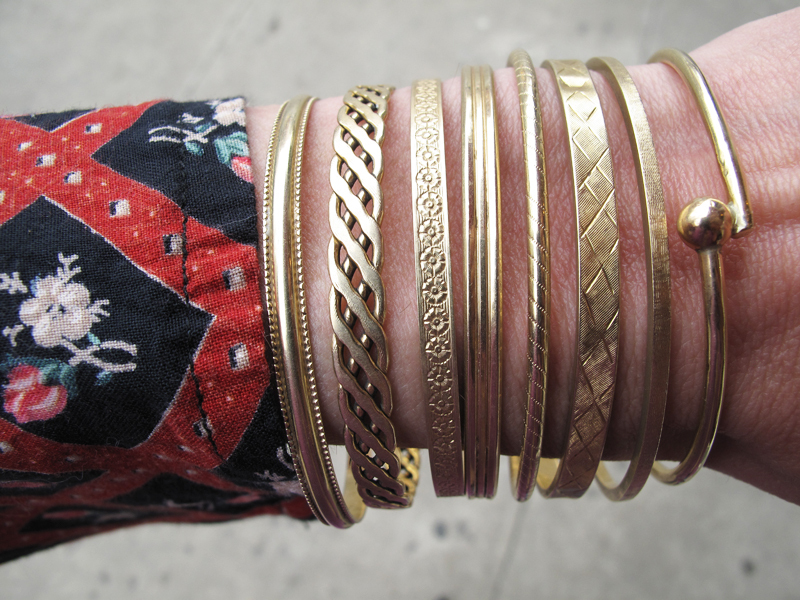 When Nana got older, in the late 80s, she felt that wearing all eight bangles was no longer suitable, so she chose to wear only her three favorites. For the next twenty years, I never saw the other five. My Nana in 2005, wearing two or three of her bangles. This entry was posted in 1970s, 1980s, Adolfo, Chelsea Girl Vintage, Tiffany & Co.. Bookmark the permalink.